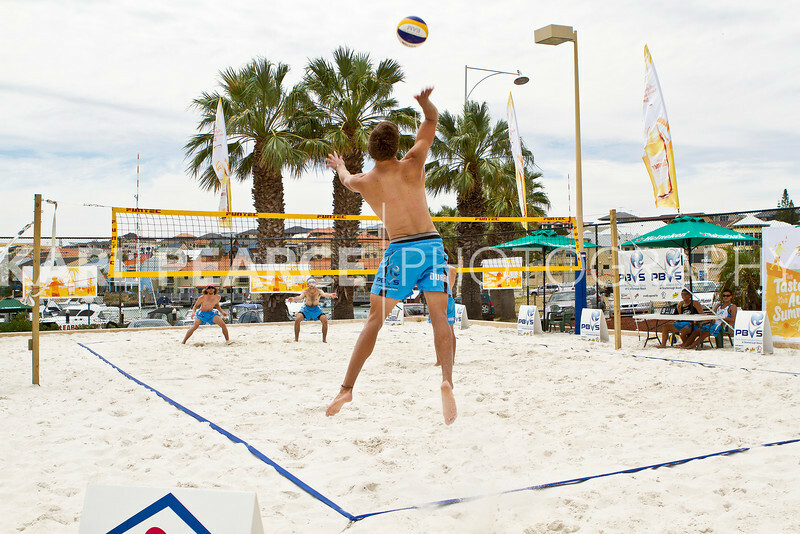 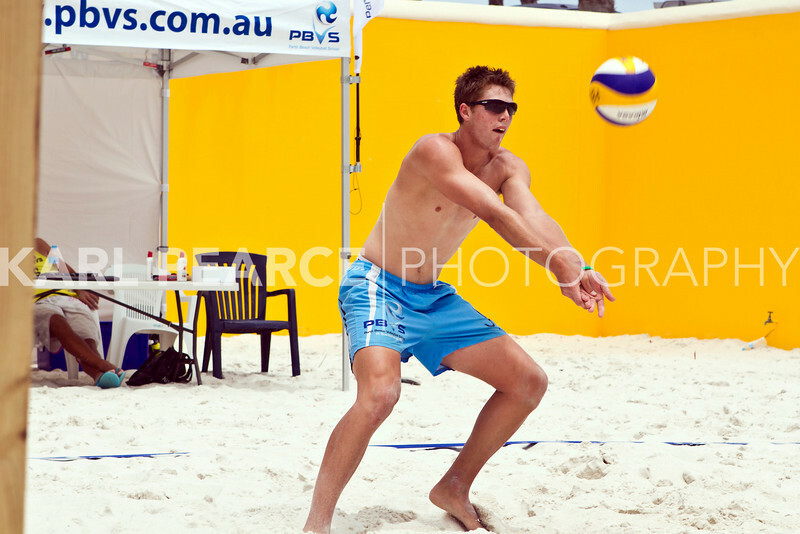 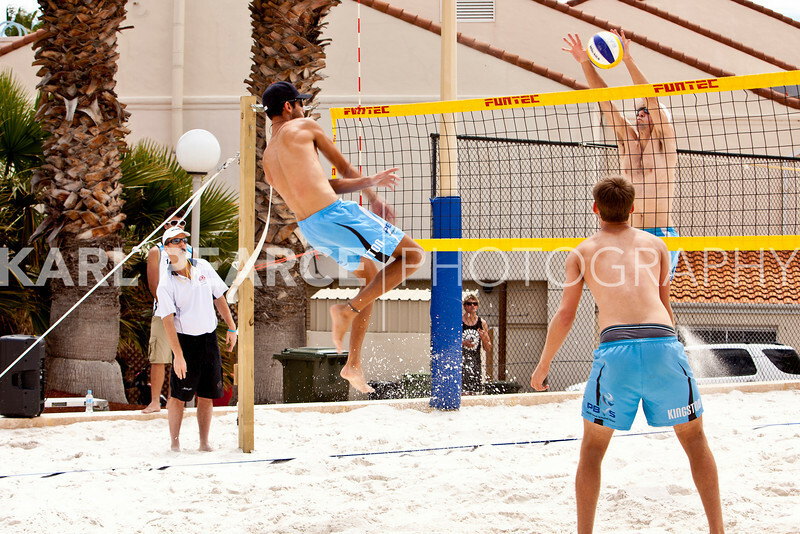 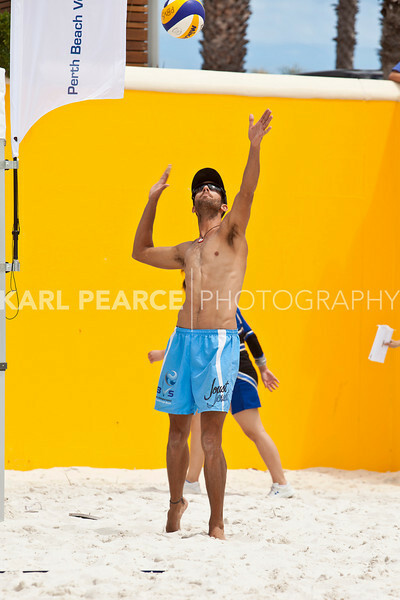 Mindarie Marina Beach Volleyball PRO Men’s Final’s, played at the Sand Stadium 14th November 2010. 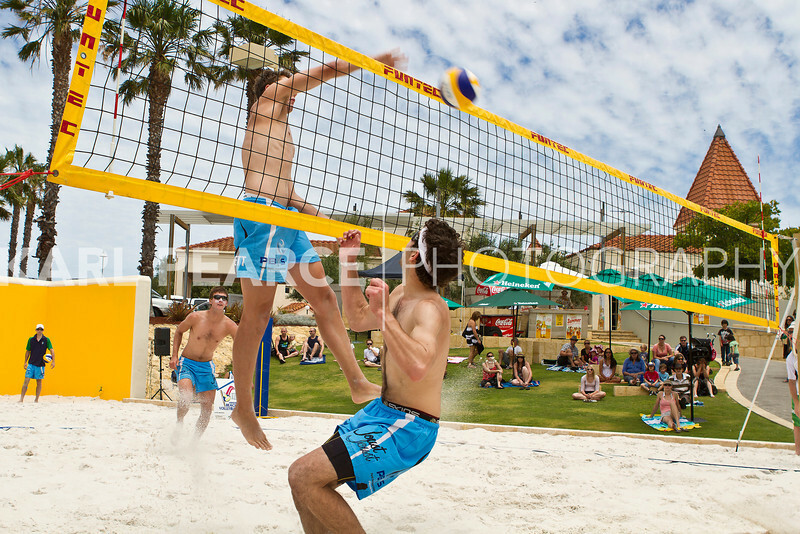 To conclude the men’s tournament the top six teams played off in two pools of three with the winner of each pool playing in a final match. 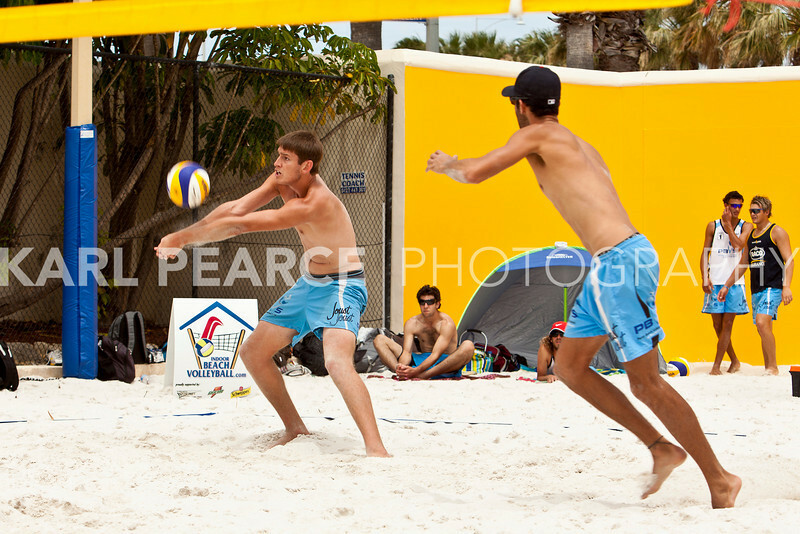 Blake Borrett and Cole Durant were in hot form leading into this event winning the last two tournaments and 7 matches consecutively. 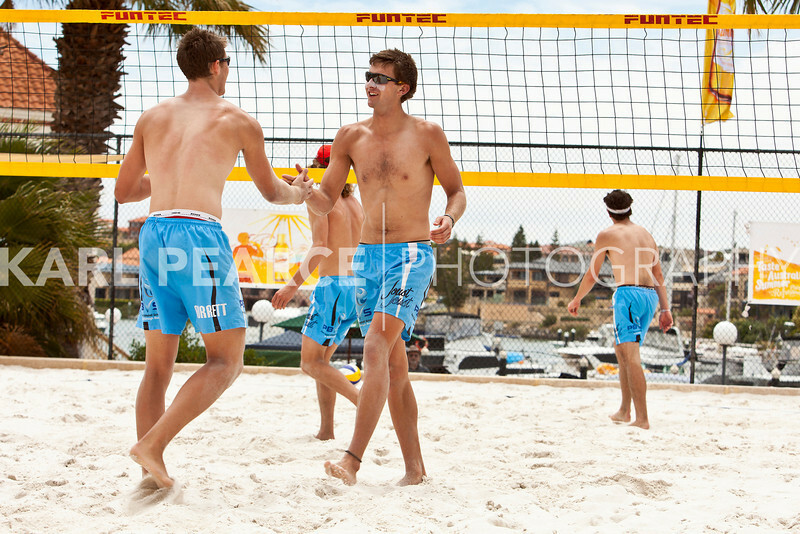 They were seeded No1 for the tournament and progressed to the final easily defeating Adams/Adams and Fox/Staples. 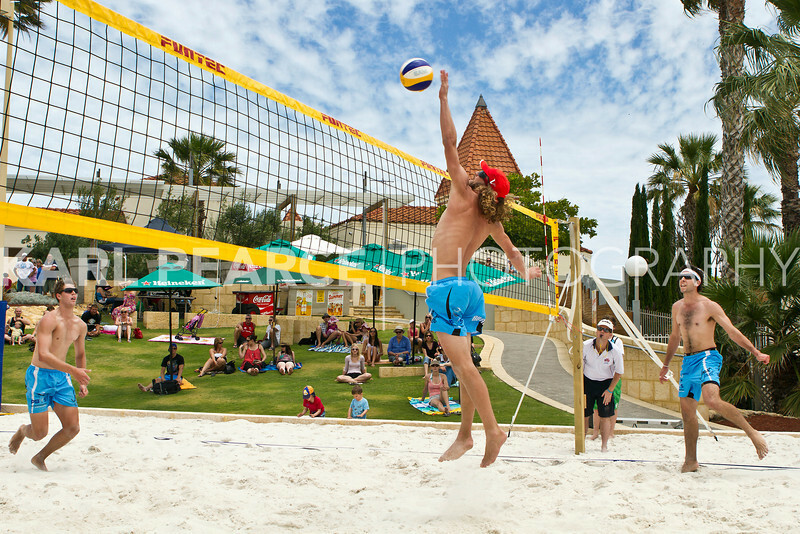 The other pool was more hotly contested. 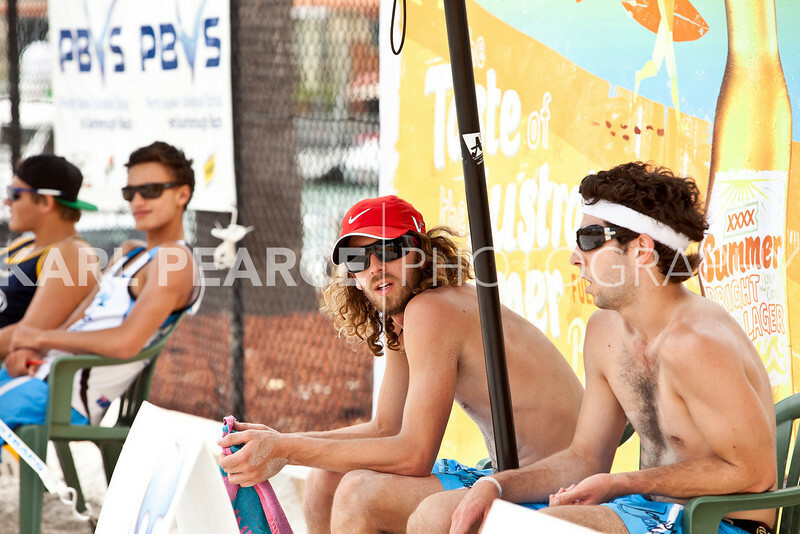 PBVS coach Adrian Lee and partner Ryan Glossop met Jordan Linton and Samuel Kingston in effectively a semi final which was drama packed. 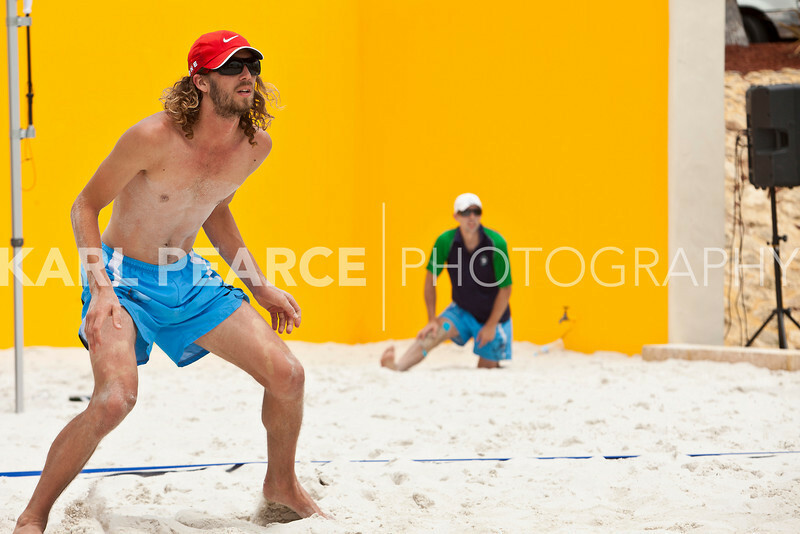 AJ and Ryan claimed the first set and led strongly in the second, but some determined defence from Linton allowed his team to evaporate the deficit and lead 18-17 at the last end change. 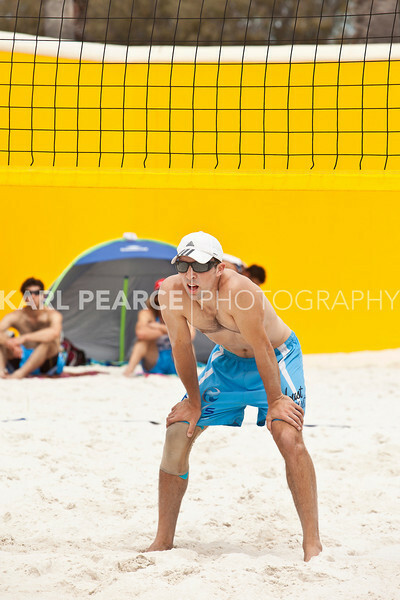 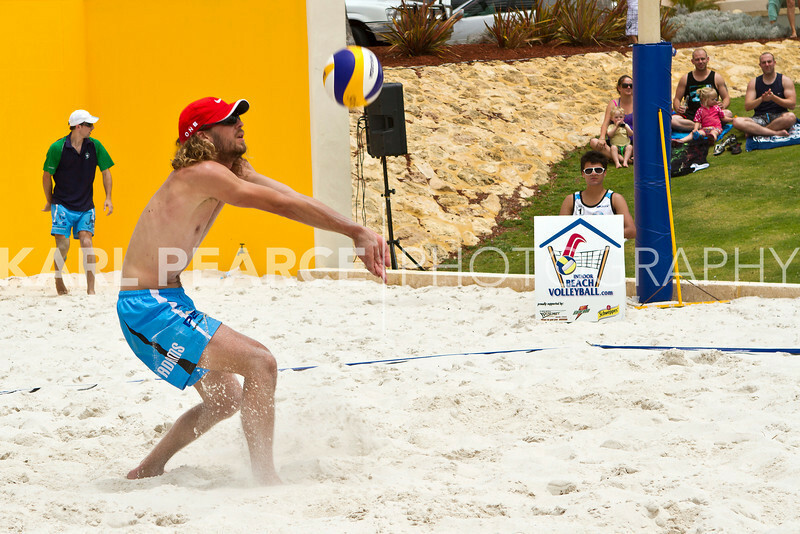 Ryan Glossop responded with 2 aces and a transition play to take him and AJ to the Mindarie final. 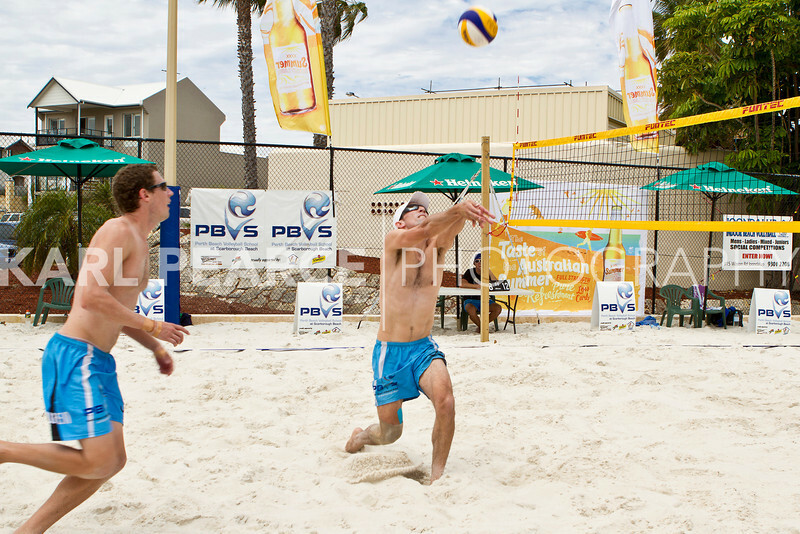 The final started a little slowly with both teams making early serve errors, but progressed into a side-out battle. 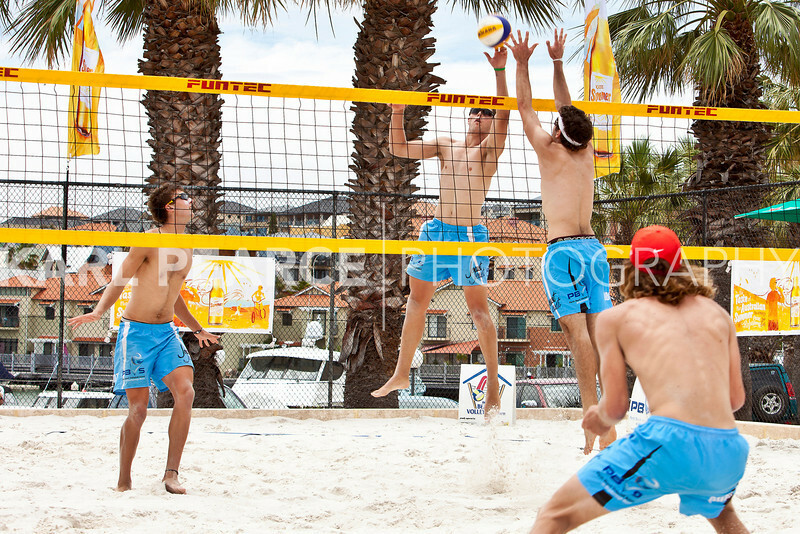 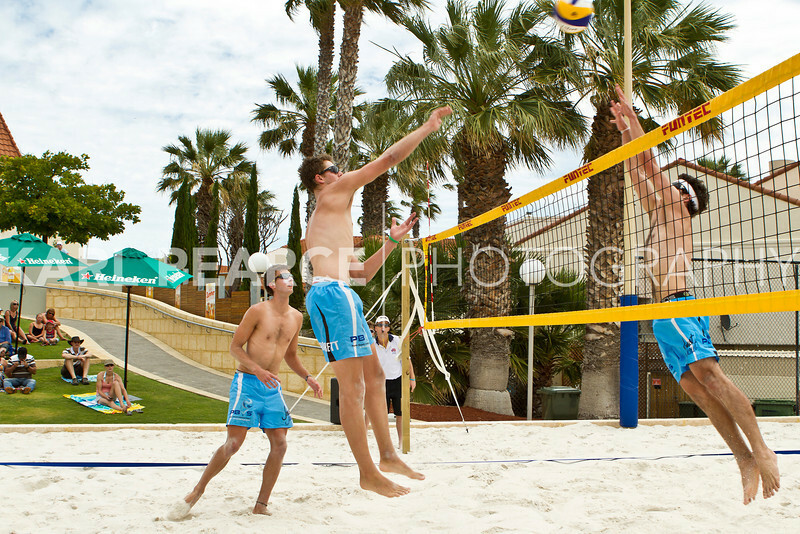 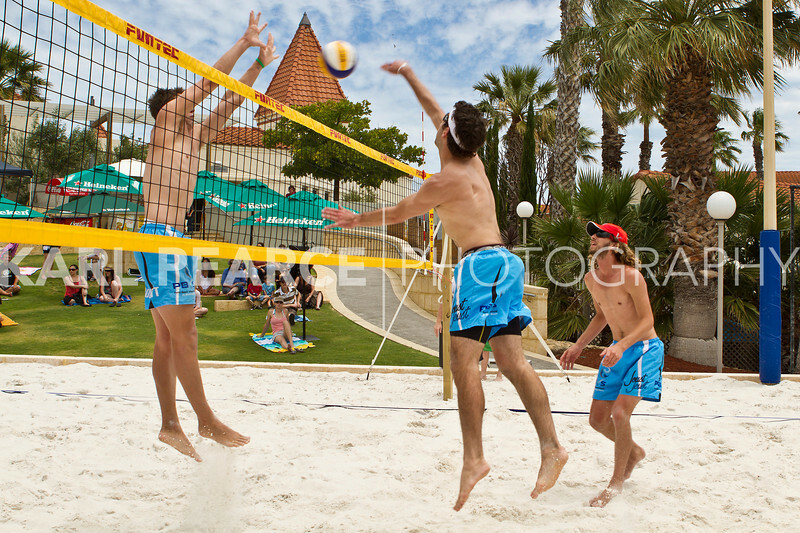 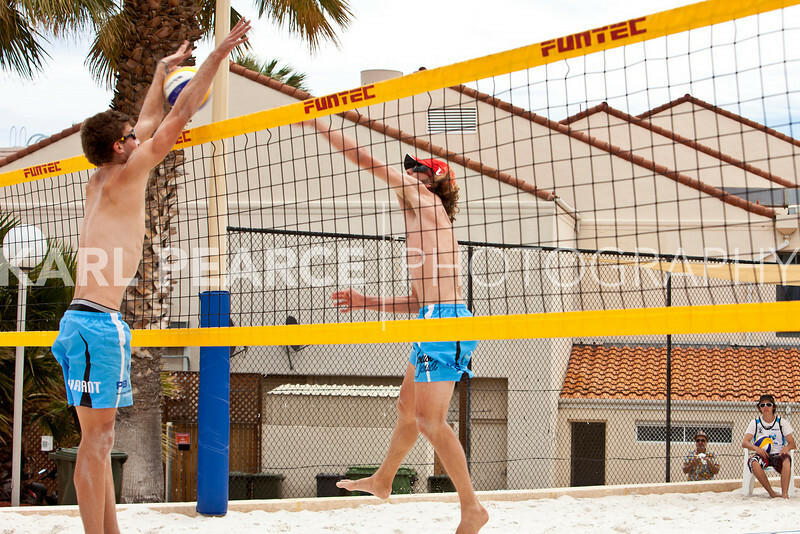 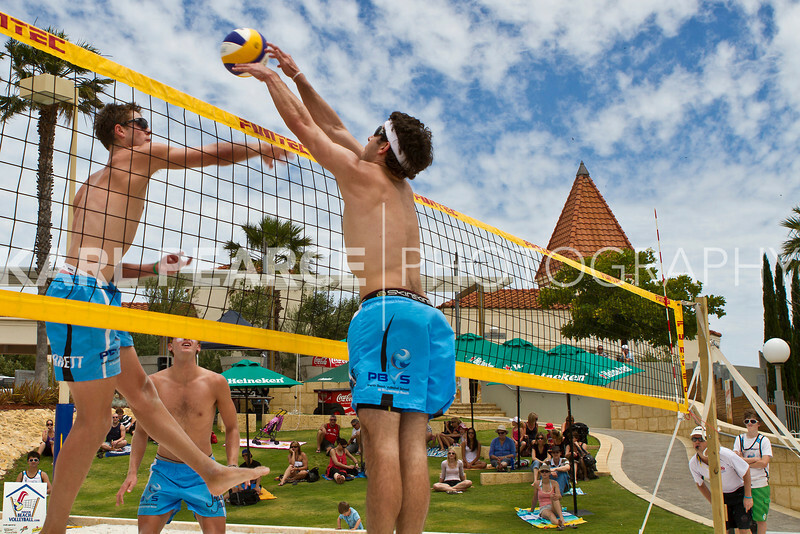 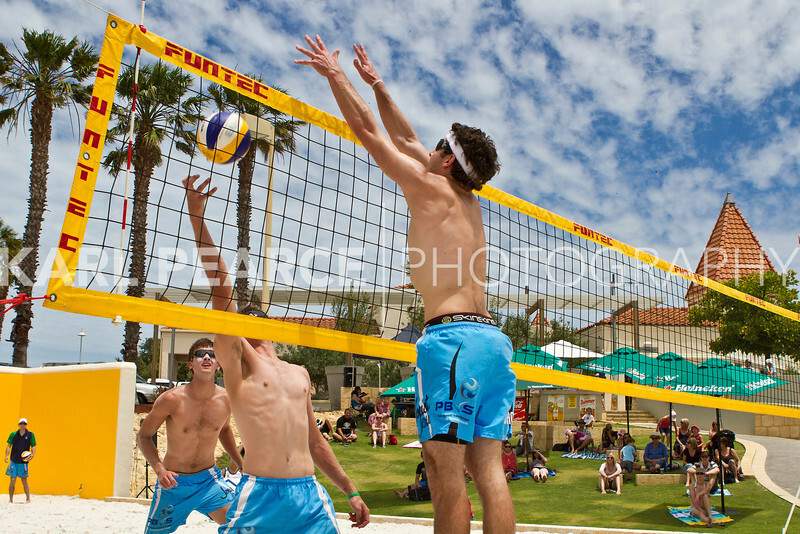 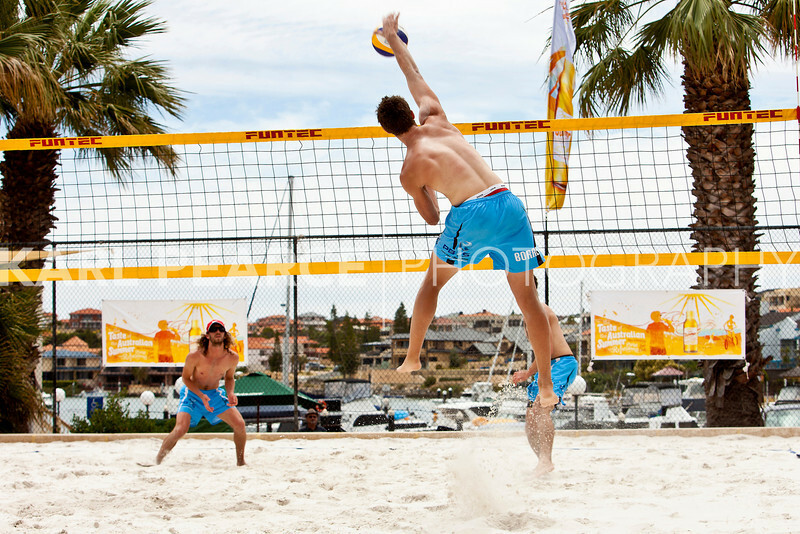 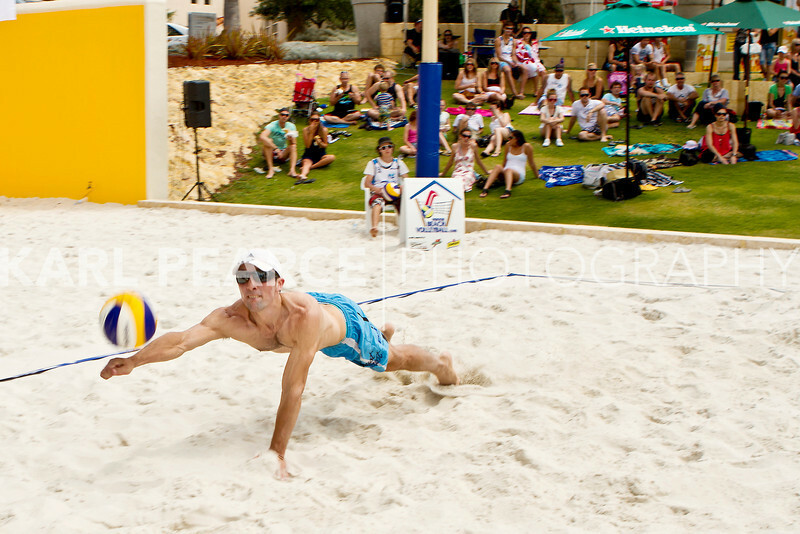 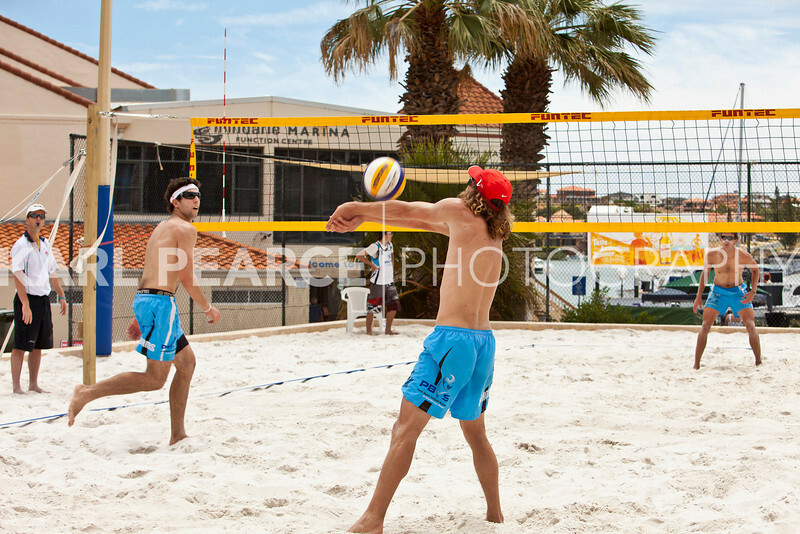 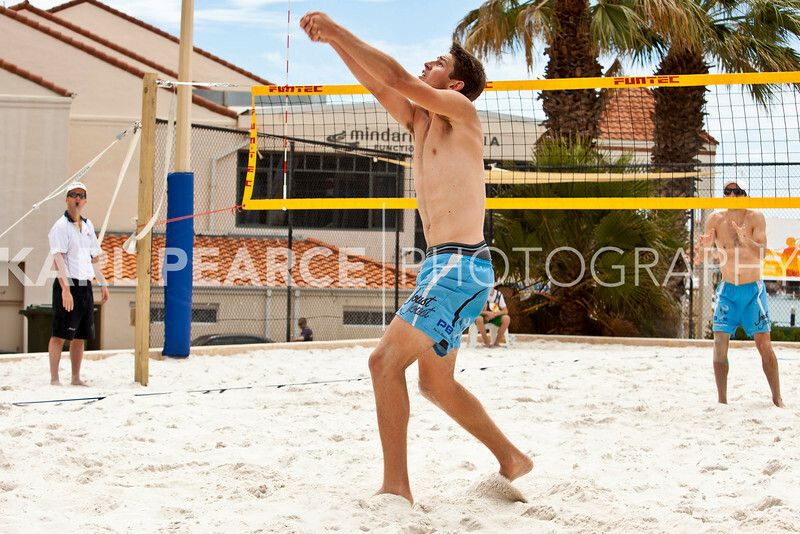 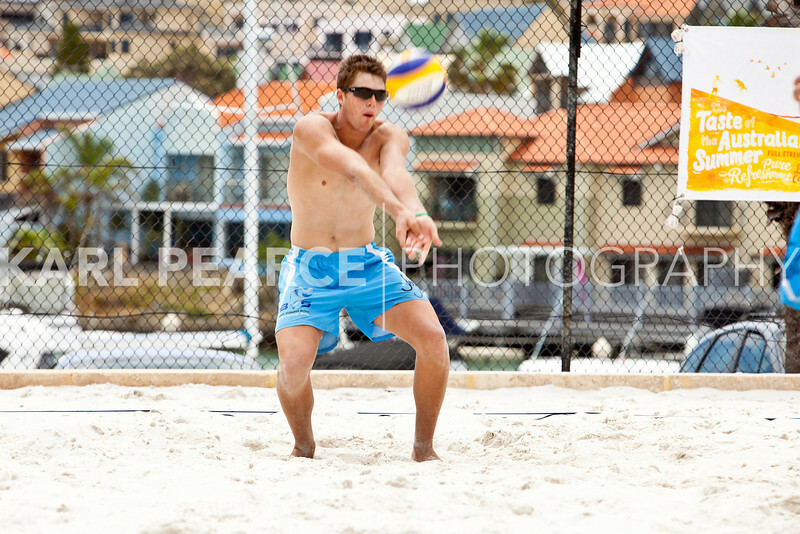 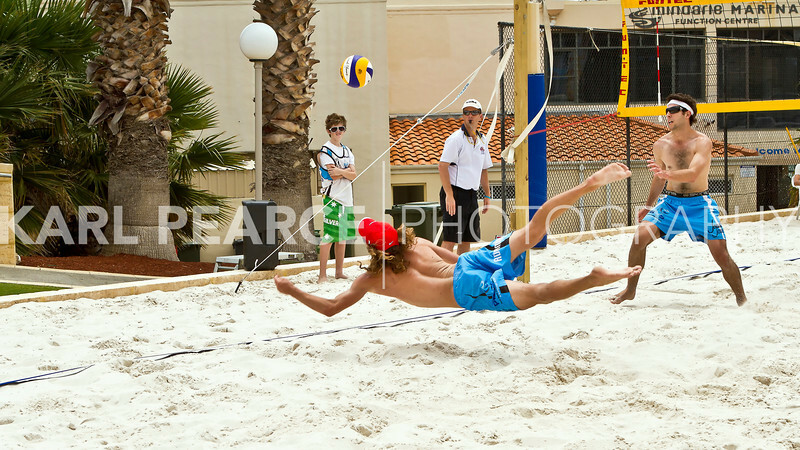 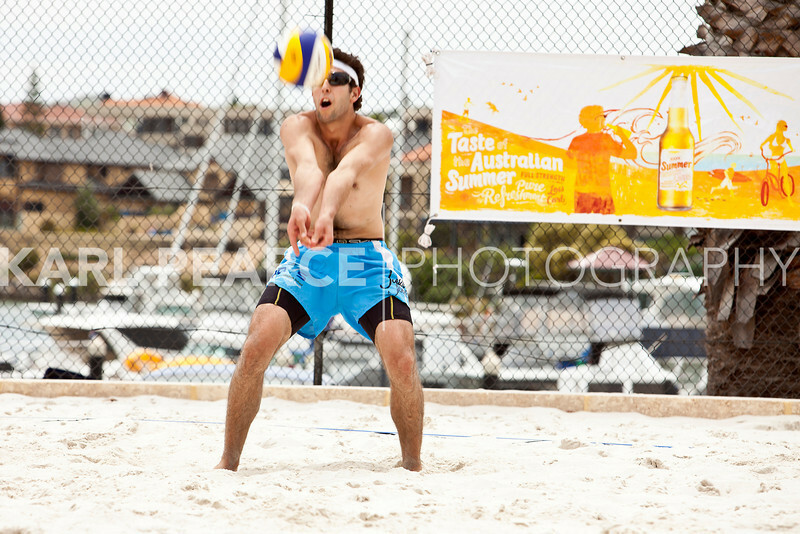 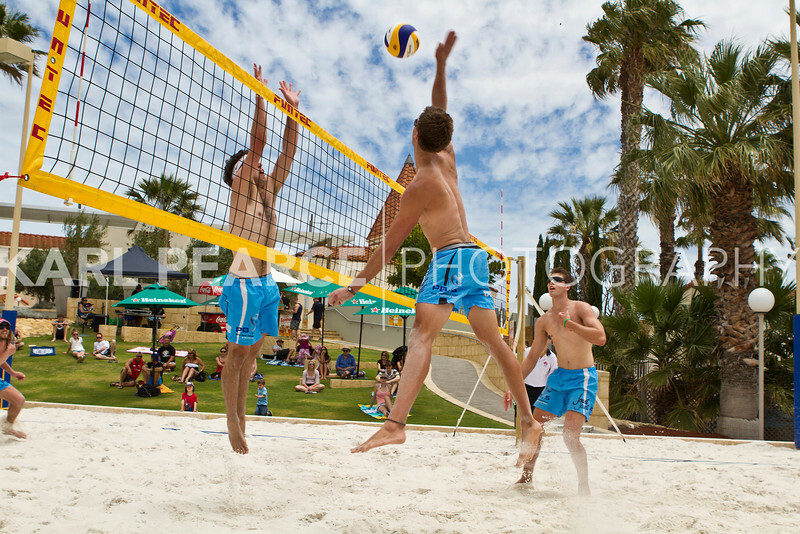 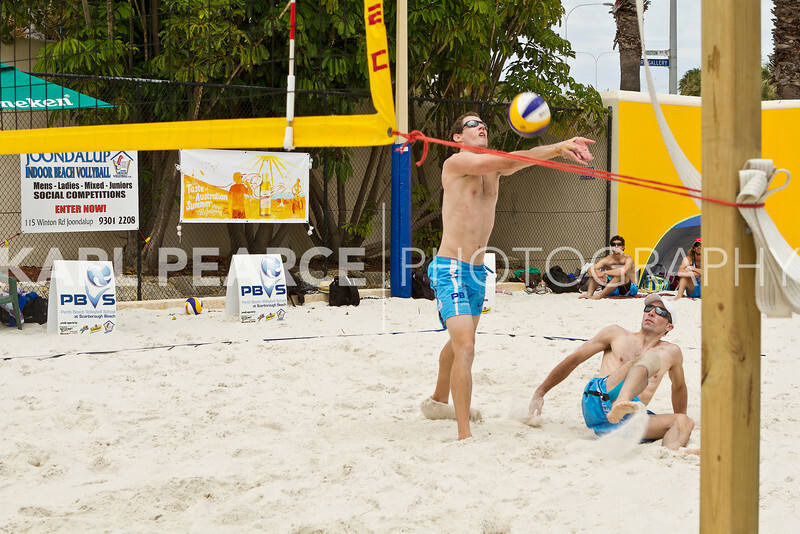 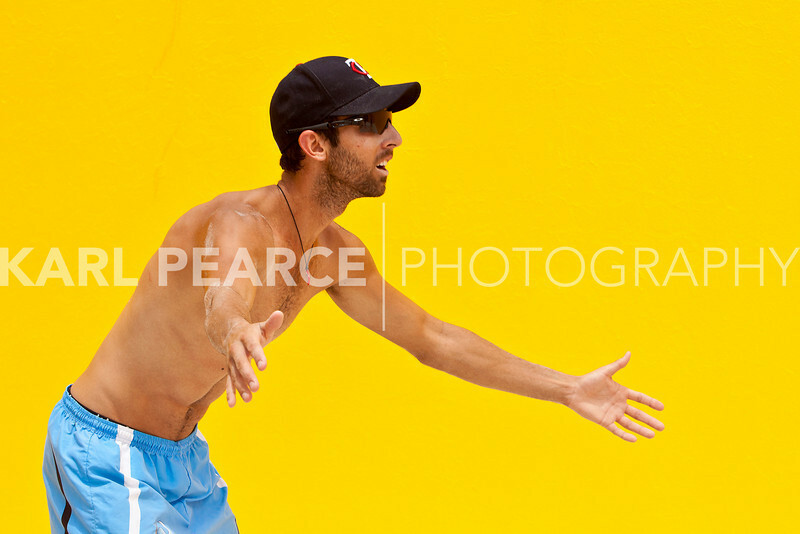 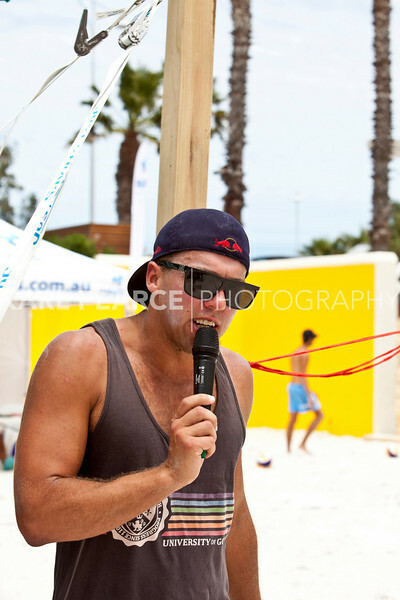 The match went to three sets with Ryan and AJ taking the title Mindarie Beach Volley Pro Champions. 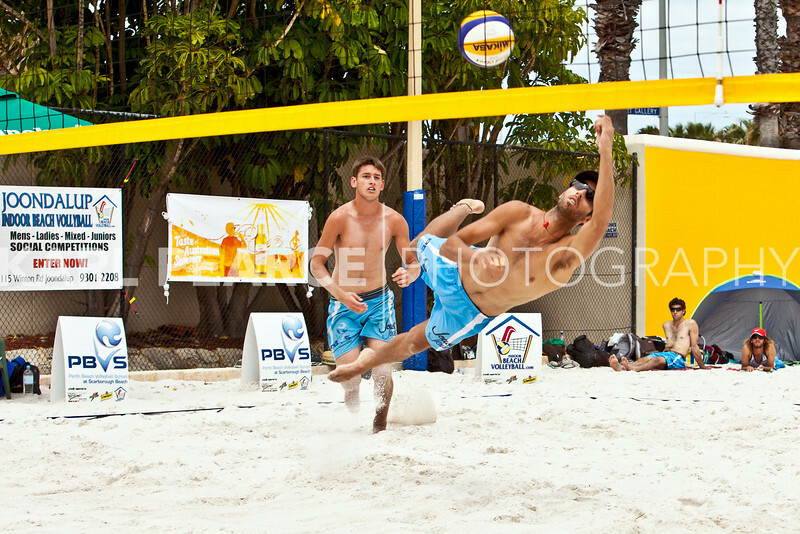 A feature of there victory was AJ’s strong siding out and Ryan’s serving. 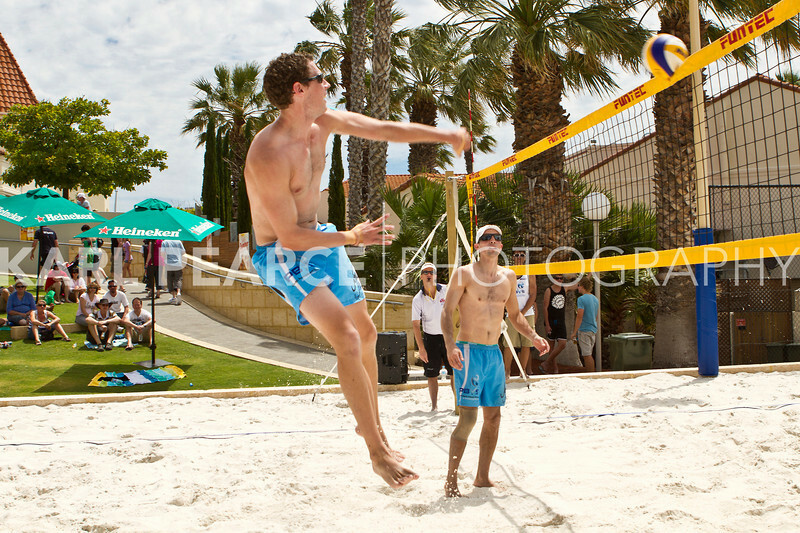 It was a welcomed return to form for AJ and Ryan who have been disappointed with some recent losses.